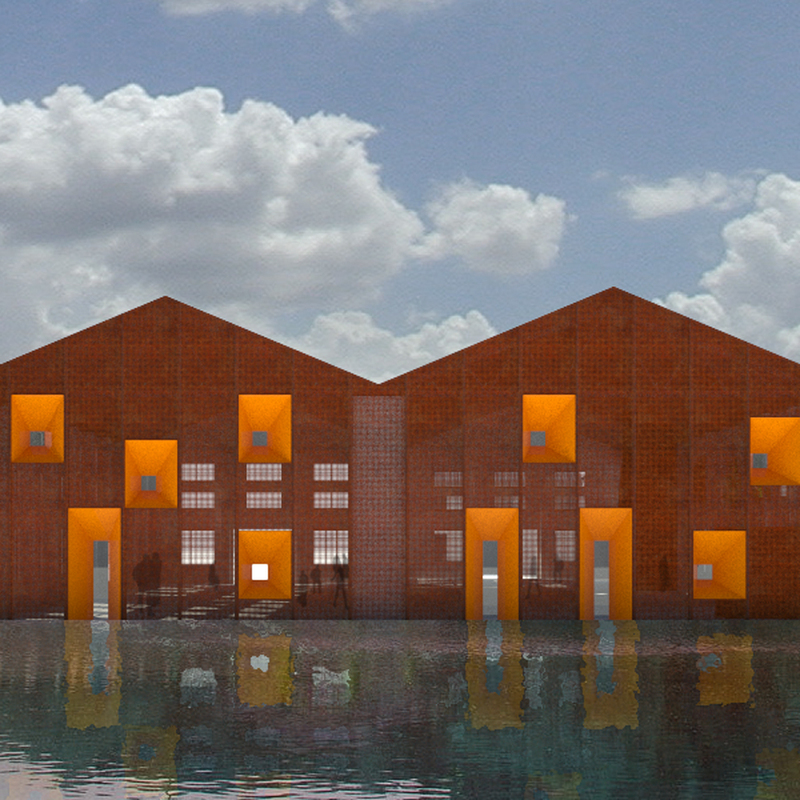 Our design concept aims to combine the industrial heritage of the site with contemporary art and culture. 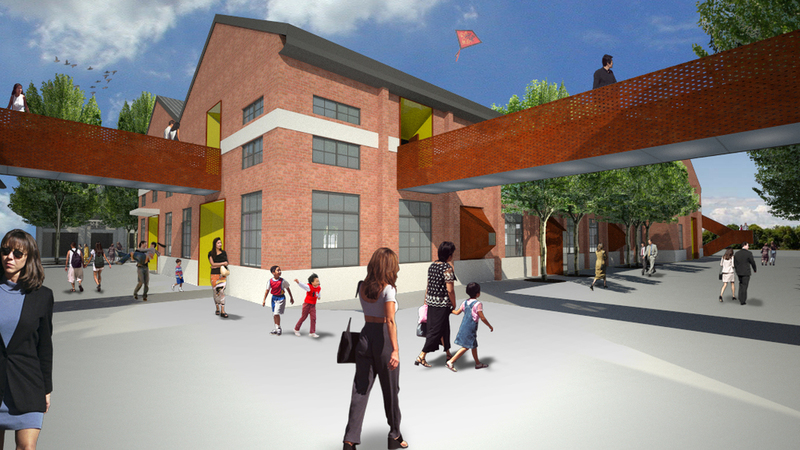 While respecting the architecture of the industrial buildings, we propose to introduce small-scale architectural interventions as a new and contemporary language to the GALA arts district. This new contemporary language will compliment the industrial aesthetic of the existing buildings and provide a new architectural identity to the district. The architectural interventions that we are proposing are both experiential and performative, and will augment the existing architecture aesthetically and functionally. We have designed each architectural intervention as a conceptual ‘scoop’ that creates a new spatial ‘framing’ by expanding the envelope of the existing window and door openings inward or outward. We have designed eight object-like interventions with specific functions that can be inserted a various opening locations depending upon the master plan and interior functions. The materials we are proposing for the scoops are ‘industrial’ in appearance, yet contemporary and provocative in form and construction. The contrasting effect highlights the concept of the ‘new’ + ‘historical,’ fundamental to the identity of the GALA arts district. The exterior of the scoops would be corten steel and the interior a high-gloss color. The color on the inside of the intervention would provide a coding system for identifying each building—each building would have its own color. In our proposal for the ‘Life Bridge’ we have expanded the orthogonal logic of the existing site organization and architecture to create a cultural network between buildings. The ‘Life Bridge’ is sensitively integrated into the architecture and would be constructed with similar ‘industrial’ materials.